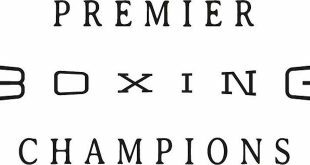 Former 147-pound world champions Andre Berto(31-5, 24 KOs)and Devon Alexander (27-4-1, 14 KOs)will battle in a 12-round showdown that headlines a stacked night of Premier Boxing Champions on Fox and Fox Deportes live in prime time on Saturday, August 4 from NYCB Live, home of the Nassau Veterans Memorial Coliseum. The telecast begins at 7:30 p.m. ET/4:30 p.m. PT with former world champion Peter "Kid Chocolate" Quillin (33-1-1, 23 KOs) facing 168-pound contender J'Leon Love (24-1-1, 13 KOs) in a 10-round bout. Also in action will be former amateur standout and fast-rising unbeaten prospect Joey Spencer (3-0, 3 KOs) in a super welterweight match. 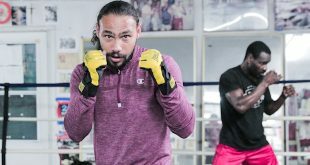 "This is an outstanding card from top to bottom with matches that figure prominently in the 147-pound, 168-pound and 175-pound divisions,'' said Tom Brown of TGB Promotions. "Berto and Alexander are two former champions who are fighting to get back into the crowded welterweight title picture. "I'm happy to bring another action-packed event back to NYCB Live on Long Island," said Lou DiBella, President of DiBella Entertainment. "Headlining the Fox and Fox Deportes telecast, former world champions Andre Berto and Devon Alexander meet in a high-stakes crossroads battle with the winner emerging one step closer to another shot at the welterweight crown. 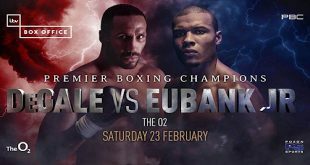 "Former middleweight champion Peter Quillin continues his comeback facing the talented J'Leon Love and Staten Island's unbeaten light heavyweight contender Marcus Browne also appears on the card. Long Island boxing fans will want to arrive early for a tremendous undercard, with local talent as well." "I'm excited to be back at home in New York in front of my fans and people I love so dearly,'' Quillin said. "I'm coming back more polished and more seasoned and a man of God. I've definitely always been a guy who steps out and does what people think I can't do. Collazo is a former world champion hailing from Brooklyn who has fought top welterweights from Berto and Shane Mosley to Keith Thurman and Ricky Hatton. His most recent fight saw him score a sensational knockout victory over Sammy Vasquez in February 2017. He returns to the ring after recovering from injuries sustained during training and will face Perrella of Fort Myers, FL. 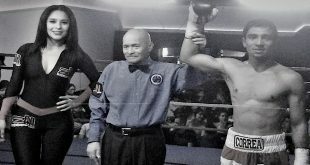 The 29-year-old Perrella defeated Alex Martin in his home state in December via a unanimous decision in his last outing. www.ticketmaster.com, www.nycblive.com, or by calling 1-800-745-3000. Tickets are also available at the Ticketmaster Box Office at NYCB LIVE beginning Saturday, July 7 at noon. Group discounts are available by calling 516-231-4848.